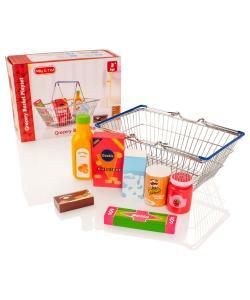 Deluxe mini metal shopping basket with 7 wooden supermarket essentials. 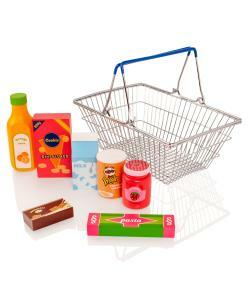 The replica shopping basket and wooden pieces are highly detailed and look super realistic. 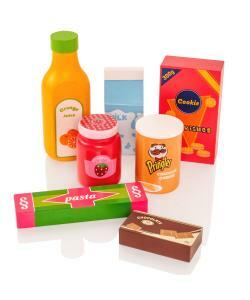 Set includes orange juice bottle, tube of Pringles, carton of milk, pot of jam, carton of spaghetti, box of crackers and a bar of chocolate. 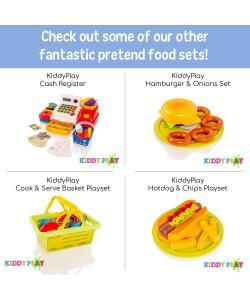 It's time to stock up at the supermarket. 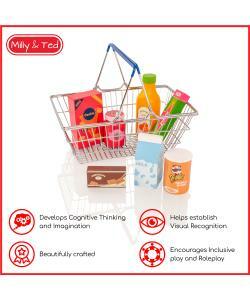 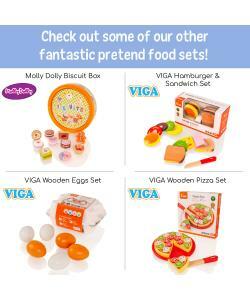 Children will love role-playing by filling up their metal shopping basket with the everyday essentials provided in this great set. 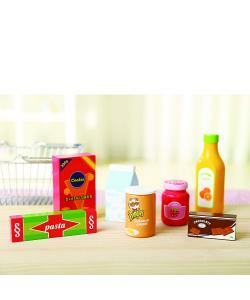 Grab some orange juice, milk, pasta and more. 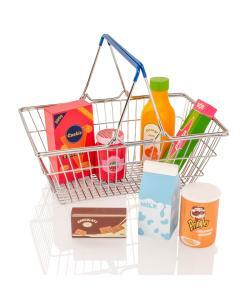 Each replica piece including the metal basket is highly detailed to look like the real thing.